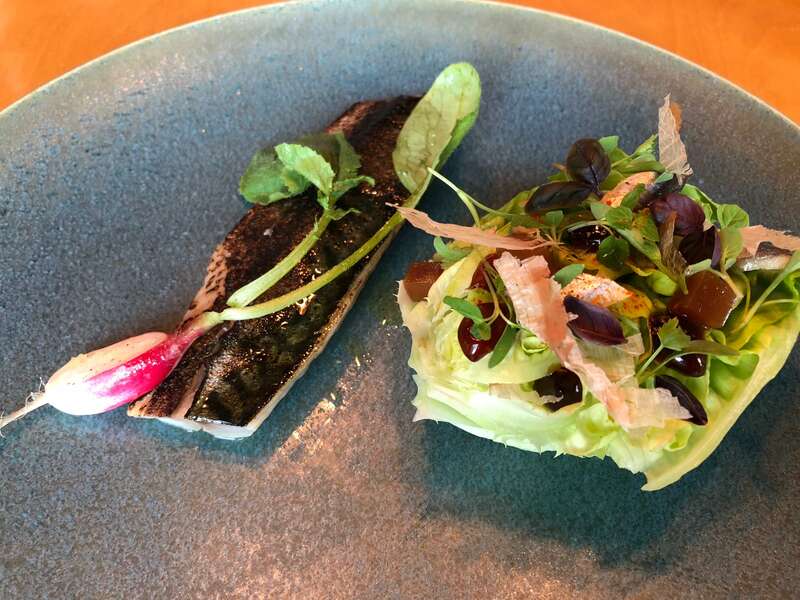 Manchester House, Spinningfields – Where flavour, texture and expectations get a reboot! I last visited Manchester House over a year ago. It was a time when it appeared that restaurants were popping up all over the city. Every culinary taste was being catered for and a time when shortly after this, Manchester got world exposure for all the wrong reasons after it was hit by a suicide bomber. Much of the city is being renewed, new styles and tastes are evolving and appearing all over the landscape of this great cosmopolitan city. This city is resilient, steadfast and above all proud to be Mancunian. 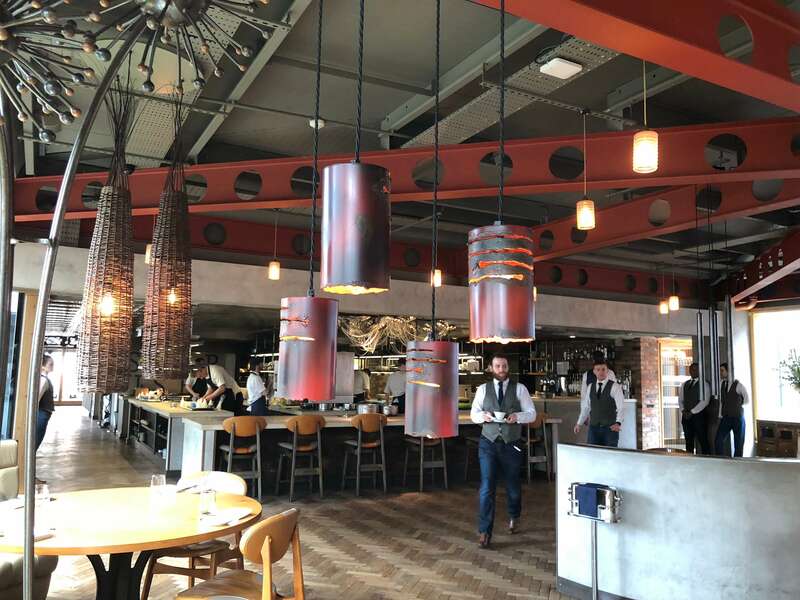 So there is no pressure therefore on Manchester House to prove, provide and present the finest dining experience that the Manchester has to offer. We visited on a weekend when frankly I was expecting a lunchtime to be the quietest to try out their new three-course menu. As the minutes past, the restaurant filled to capacity and they were even queing as we came out of the lift after our meal. Let’s be honest here, this is not a restaurant where food is churned out, where deep fried is common, microwaves and standard fare exist. This is like visiting an artists studio, a place where masters are at work, creating culinary delights of beauty, balance, colour and tastes that challenge the senses. The tables are minimilistic here with the bare essentials required to create the understated experience that unfolds. 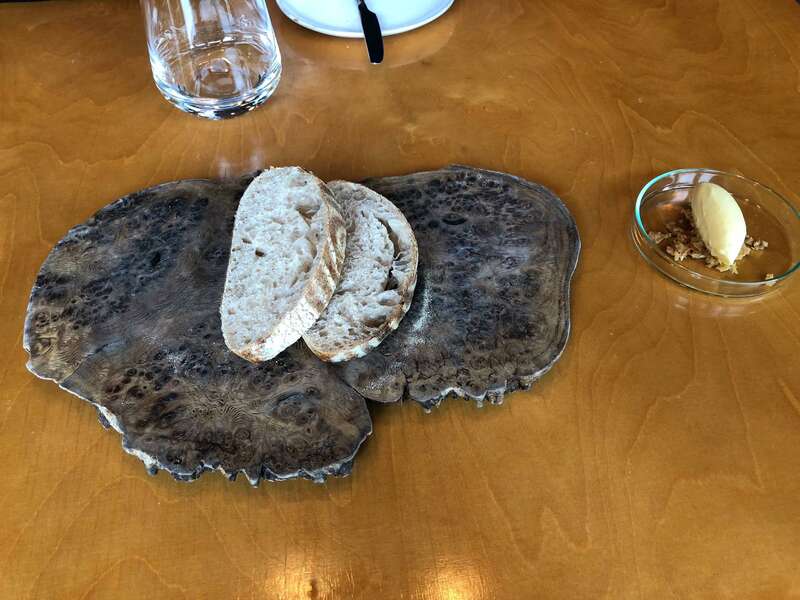 Soda bread, presented on a board with butter and small crispy chicken skin bits turn a simple essential into a rather tasteful surprise. 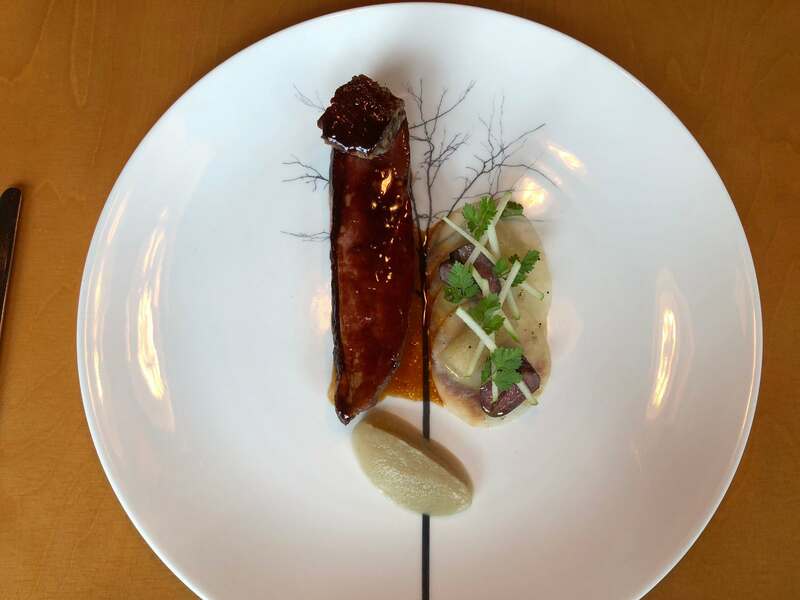 Both dishes are presented on individual plates that set the scene for an artists canvas. These starters are stunning to look at, clearly showing the talents of the brigade of staff busily working a short distance from us in the open plan kitchen. The flavours are a clever blend that makes it difficult to pinpoint one predominent flavour over any other, thus it feels like this is the first time you’ve had this experience. When the main courses are presented they both appear on different styles of crockery to compliment the presentation. This is as much about the look as the taste here at Manchester House. The courses are really well cooked, tender meat and flavours that blend once again to enrich your experience. Personally, I would like to see a vegetarian choice on the menu too. I’d like to see what this creative team of chefs can present that satisfies even the most restricted diet. I believe though that if you ask they have quite an extensive vegetarian option available. 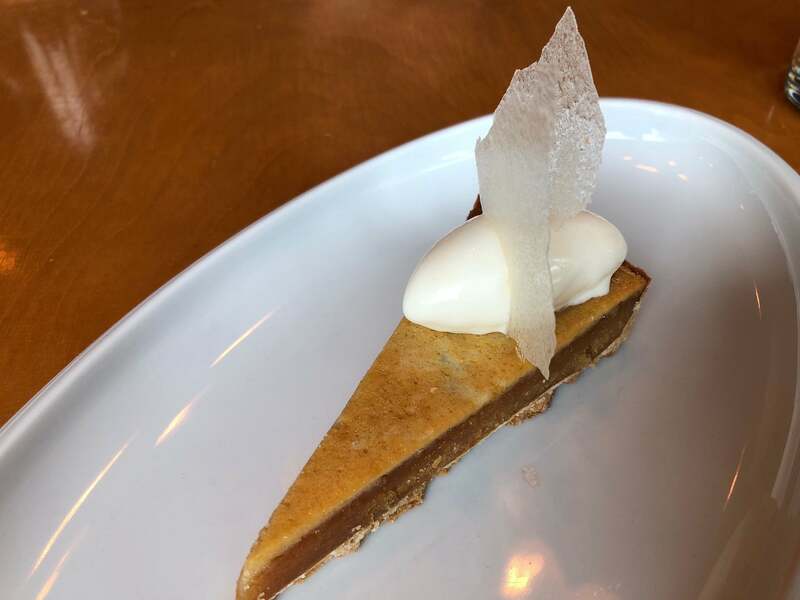 I tried the Treacle tart and was really impressed with the subtly of sweet flavours that really stimulate the taste buds. 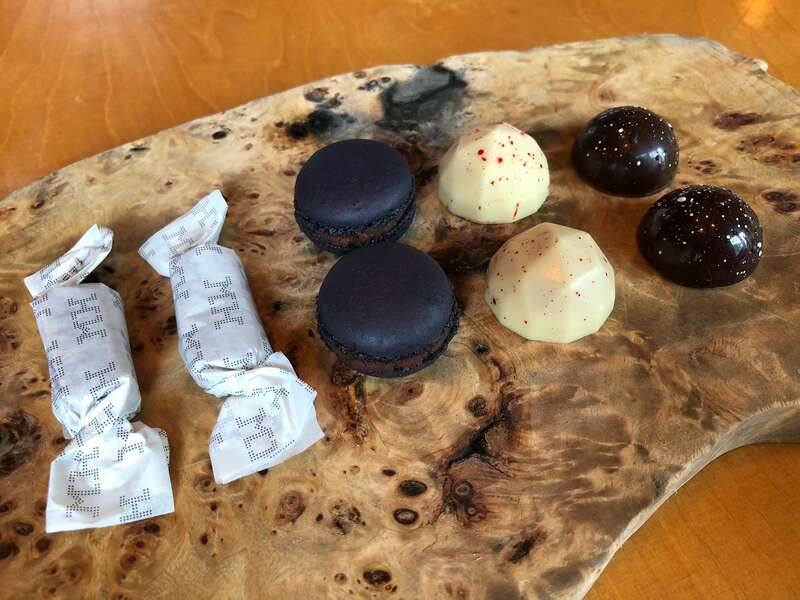 Lunch was completed with a coffee and a selection of chocolates containing such delights as white chocolate with raspberry ganache and raspberry infused Manchester Gin. Whatever your expectation of flavours and textures are from these dishes, believe me when I say that your built-in definitions will change after a meal at Manchester House. Bravo to Chef Patron Nat Tofan and his brigade and service staff. 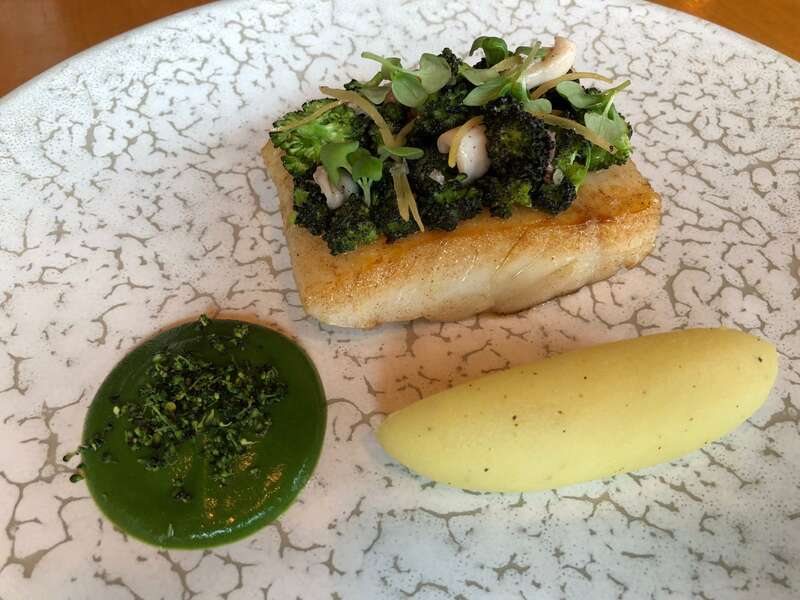 Run with military precision, flawless and definitely a special place on the Greater Manchester culinary scene.